HCM CITY (VNS)— HCM City achieved robust economic growth in the first four months of the year, the city administration's website reported without furnishing the growth figure. Retail sales and services amounting to nearly VND211.5 trillion (approx. US$9.8 billion), a year-on-year increase of 10.7 per cent, according to figures released at a meeting to review the performance on Thursday. Exports in the period edged down to $9.29 billion, but exports ex-crude oil rose 8.3 per cent to $8.03 billion. 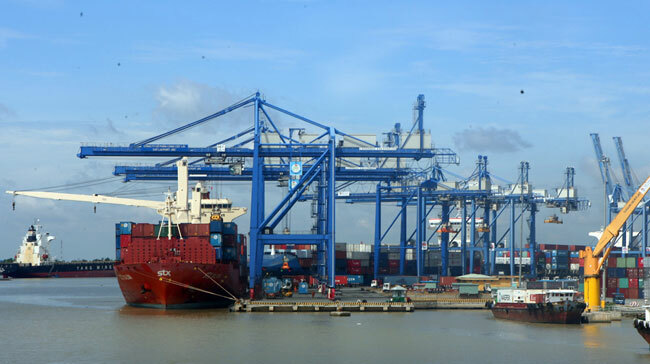 Exports of industrial products accounted for 69.4 per cent of non-crude exports, according to Thai Van Re, director of city Department of Planning and Investment. If oil prices had not slumped, there would have been a sharp increase in exports in line with the targets set by the city. The industrial growth index was up 5.7 per cent (compared with 5.2 per cent last year) as industrial production expanded due to a focus on processing and manufacturing at the cost of mining. Domestic and foreign direct investment was also on the rise. As of April 20 licences had been issued for 8,823 new local firms with a combined registered capital of nearly VND47 trillion (nearly $2.2 billion) a year-on-year increase of 15.7 per cent and 10.4 per cent. In addition, 158 new foreign projects worth $615.3 million were also licensed, a 55.9 per cent increase in number but a 12.3 per cent decrease in capital. In May the city authorities will focus on some major targets like fully tapping domestic demand, strengthening distribution networks in remote areas and maintaining traditional overseas markets while seeking to expand into new ones.